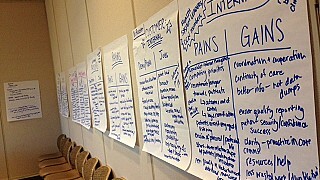 If your healthcare communications, whether internal or external or both, need to be clearer, you are in the right place! Click below to download our practical guides to help you jump start your projects. 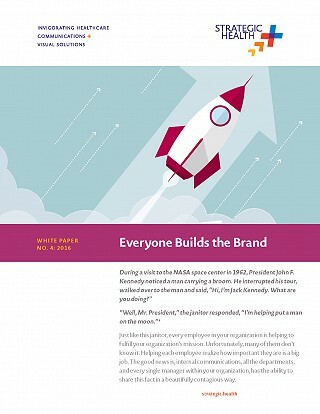 Never miss a new white paper! Sign up below in the green box and we'll deliver this and future white papers right to your inbox. 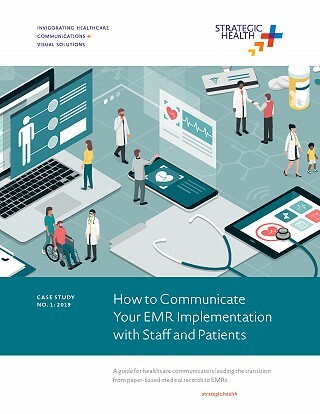 A guide for healthcare communicators leading the transition from paper-based medical records to EMRs including 4 Things You Must Do Before Communicating an EMR Implementation and 9 Insider Tips on How to Communicate Your EMR Implementation to Staff. 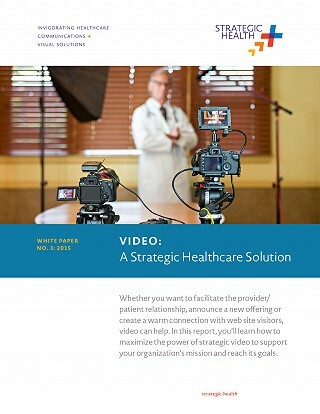 Whether you want to facilitate the provider/patient relationship, announce a new offering or create a warm connection with web site visitors, video can help. In this report, you’ll learn how to maximize the power of strategic video to support your organization’s mission and reach its goals. Wondering how to capture your brand and drive communications with the vision? Not sure where to start? It’s a huge task, this FREE template will help. Consumers have more choices and higher expectations than ever. That’s why how you promote your healthcare services matters as much as what you promote. Your brand identity is more than your logo, or the imagery and color palette you use in your communications. Words matter too. That’s why making sure your copy and visuals powerfully define your brand is a critical strategic issue. And that’s what this white paper will help you do. 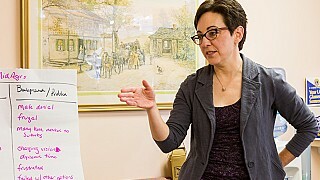 Anne Arundel Medical Center (AAMC) recently took the initiative to develop a clinically integrated [provider] network (CIN). 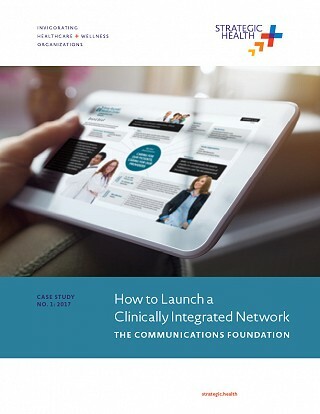 While the network was still in development, AAMC approached Strategic Design Studio requesting a foundation of key messages and marketing communications materials to drive awareness of the CIN, articulate its value and promote adoption. In this case study find out how Strategic Design Studio approached this project, delivering the needed communication tools for the CIN. At small clinics and large health systems across the country, telehealth is happening – and it’s happening now. Successful telehealth programs have detailed plans that cover everything from how staff members prep patients to how doctors present on-camera. The result? 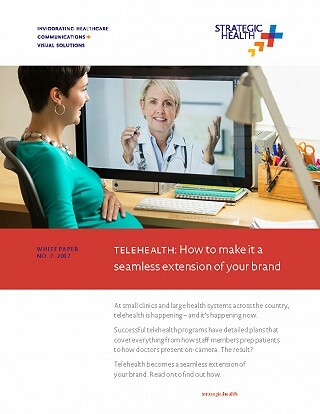 Telehealth becomes a seamless extension of your brand. Download the white paper to find out how. 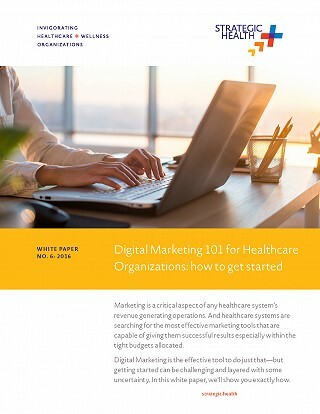 Marketing is a critical aspect of any healthcare system’s revenue generating operations. And healthcare systems are searching for the most effective marketing tools that are capable of giving them successful results especially within the tight budgets allocated. Digital Marketing is the effective tool to do just that—but getting started can be challenging and layered with some uncertainty. In this white paper, we’ll show you exactly how. 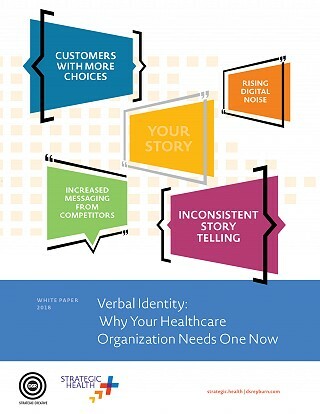 Healthcare companies are competing like never before and therefore need a clear brand to set them apart. 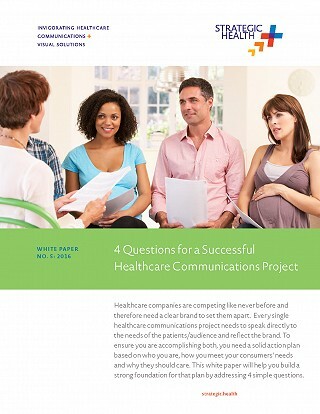 Every single healthcare communications project needs to speak directly to the needs of the patients/audience and reflect the brand. To ensure you are accomplishing both, you need a solid action plan based on who you are, how you meet your consumers’ needs and why they should care. 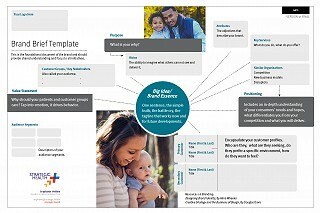 This white paper will help you build a strong foundation for that plan by addressing 4 simple questions. 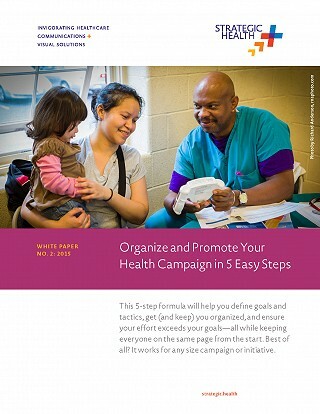 In this report, you will find inspiration and healthcare-specific recommendations to help your organization partner with each employee to show that they are critical to supporting your mission. Beauty comes from within—so does a successful brand! This 5-step formula will help you define goals and tactics, get (and keep) you organized, and ensure your effort exceeds your goals—all while keeping everyone on the same page from the start. Best of all? It works for any size campaign or initiative. 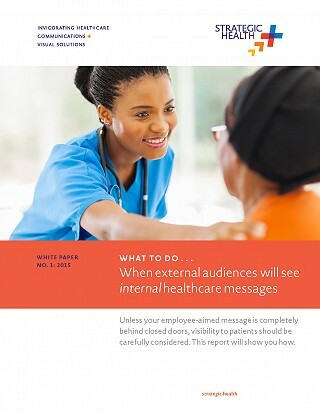 WHAT TO DO … When your external audience will see your internal healthcare messages. 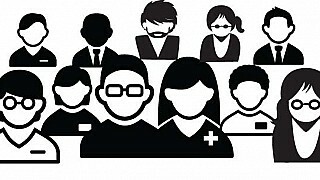 Unless your employee-aimed message is completely behind closed doors, visibility to patients should be carefully considered. This report will show you how.